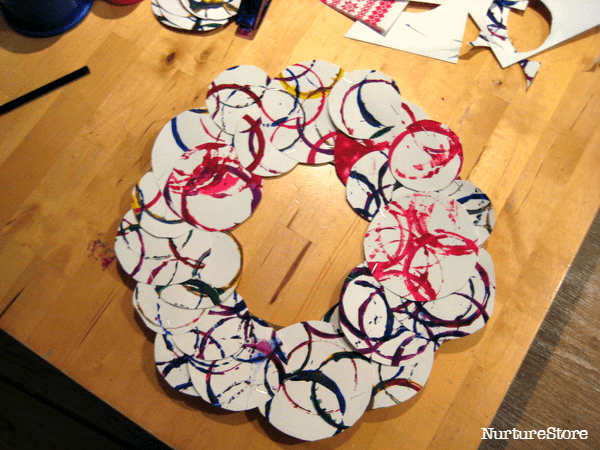 The children had so much fun making this painted Christmas wreath. I like the mix of the traditional decoration with the vibrant colours the kids chose. Here’s how they made it. We started by printing lots and lots of circles on to pieces of card. We used our set of stacking cups to print with, which were really easy for the children to hold and gave us a variety of sizes. We used washable paint so we could clean up the cups afterwards. 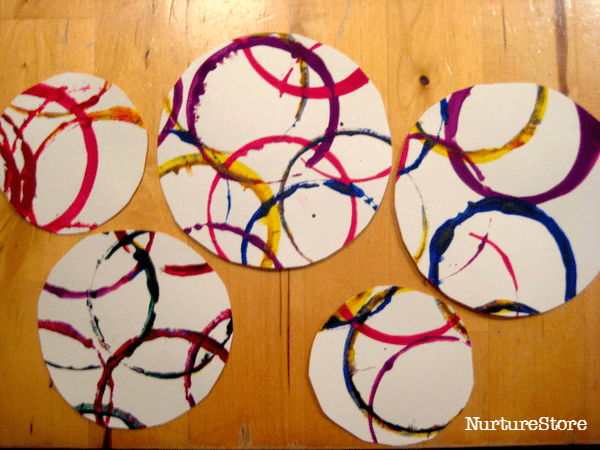 Once we’d finished the stamping fun and everything had dried we used the same cups to draw lots of circles on the painted card and cut them out. We used a paper plate as the frame for the wreath, with the centre removed. 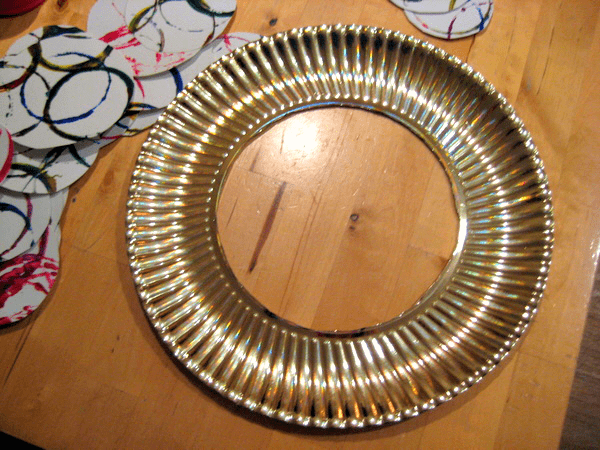 You know my kids have an issue with waiting for glue to dry, so we stapled all the circles in place around the paper plate ring. 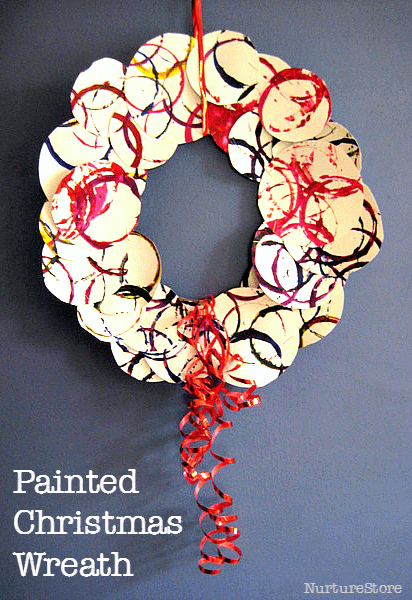 We added some shiny ribbon for extra pizzazz and ta-da, our painted Christmas wreath is ready. What a great idea and I love the idea of using staples. J at the moment paints on the glue and then goes DA DA it’s dry and tries to play with what we’ve made….. wet mess in the end. Yay, yay, yay – so pretty and PERFECT for us to do today! I am trying to juggling family, wrapping and entertaining the kids and this is perfect! Stapling sounds great because we have dried glue everywhere from all of our gluing projects, plus, I can teach Jane to staple. Thanks for the inspiration! I’m really glad this idea works for you today Chrissy – stapling is fun! Lovely! I bet the printing was lots of fun! 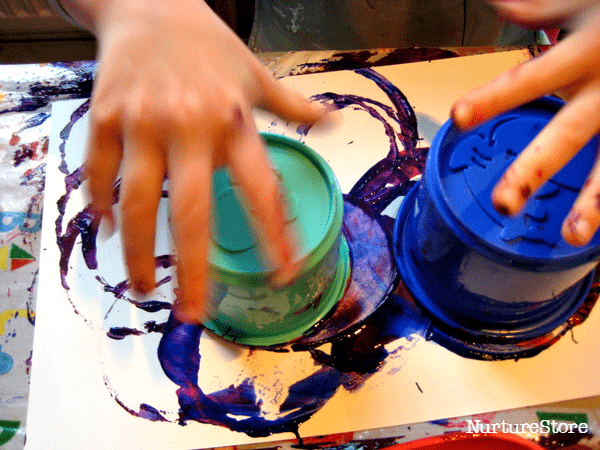 This is such a super duper FUN art activity! Printing with those drum-like cups must be so entertaining! Sharing this on FB and pinterest! Merry Christmas, my dear 🙂 and big hugs! So beautiful…thanks for sharing!Maybe next year I´ll do this with my children. What a beautiful end-product this makes! 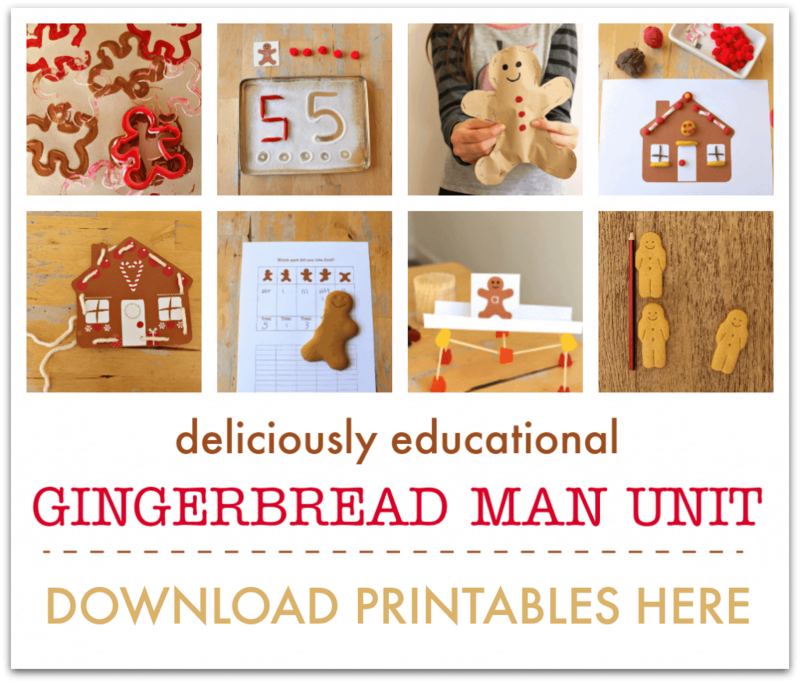 I might try having my kids use Christmas themed cookie cutters like trees, bells, gingerbread men, etc. Cookie cutters are a great idea Carla M. I’d love to see a photo if you make one.